We enjoyed Mike Breen’s first book – The Koreans: Who They Are, What They Want, Where Their Future Lies – and are currently enjoying this completely new and updated version. It’s full of fascinating detail as well as giving you the big picture. We were hoping to have written a review by now, but events have got in the way. We promise to have finished the book by the time this interview takes place. Reserve your place using the BKS booking form or by email to events@britishkoreansociety.org.uk giving name, telephone number and names of any guests. 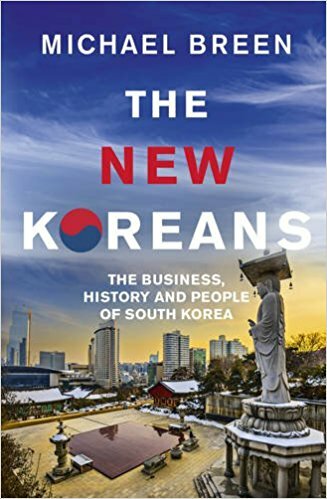 Michael Breen will be interviewed by BKS Treasurer, Chris Hollands, about his new book: The New Koreans: The Business, History and People of South Korea. There will be a question and answer session and an opportunity to buy signed copies of the book. The evening is followed by a Korean buffet with wine. Having lived and worked in South Korea for many years, Michael Breen considers what drives the nation today, and where it is heading. Through insightful anecdotes and observations, he provides a compelling portrait of Asia’s most contradictory and polarized country. South Koreans are motivated by defiance, Breen argues: defiance of their antagonistic neighbour, North Korea, of their own history and of international opinion. Here is an overlooked nation with great drive, determined to succeed on its own terms. It’s a great book. The potted history of Korea since before Dangun to (almost) Moon Jae-is a brilliant feat of condensation.